The Intel Core i7-7700HQ is a powerful quad core processor that uses the Kaby Lake H architecture designed for notebook PCs 15 inches and above. 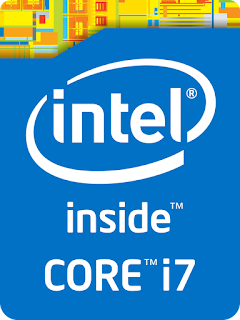 It is the successor of Intel core i7-6700HQ from the 6th generation Core. It runs at the base clock speed of 2.8 GHz (2800 KHz) but because of Turbo Boost technology the processing speed increases up to 3.8 GHz (3800 KHz). Aside from Turbo Boost, this SOC also supports Hyper Threading technology to work with up to 8 threads at once. The SoC (System on a Chip) is manufactured using 14 nm technology and includes Intel HD Graphics 630 GPU, Dual-Channel DDR3L-1600 / DDR4-2133 Memory Controller, AVX, AVX2, Quick Sync, Virtualization, AES-NI save. 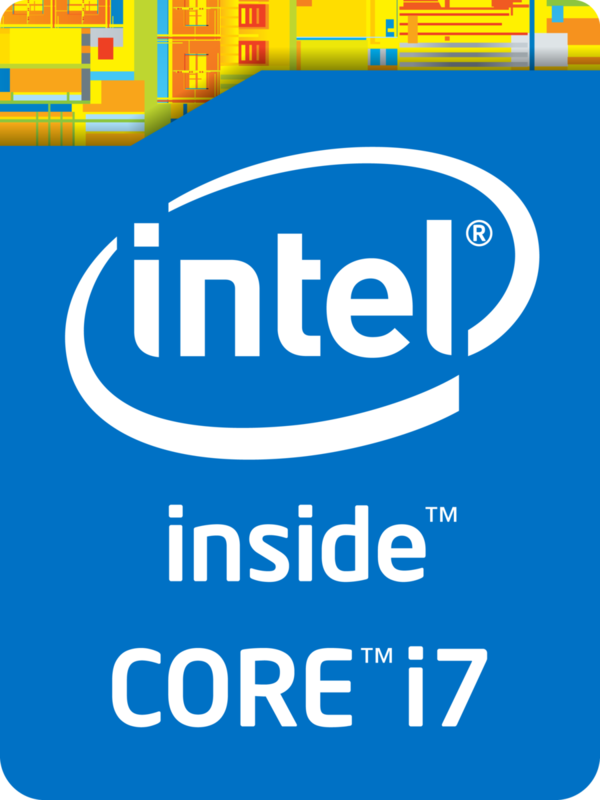 The exact performance of the Intel HD Graphics 630 depends on different factors like Level 3 cache size, memory configuration and maximum clock rate of the specific model. This indicates that only some less demanding recent games can run fluently in low detail settings using this integrated graphics controller. The central processing unit of this SOC is still suitable for many more demanding applications as well as multitasking. Moreover, this SOC has 256 kB level 1 cache, 1024 kB level 2 cache and 6 MB (6144 MHz) level 3 cache. The TDP – Thermal Design Power of this SOC is about 45 watts which is designed for bigger laptops. It supports 64 bit technology and hardware virtualizations such as VT-x and VT-d. This SOC was announced last January 03, 2017. 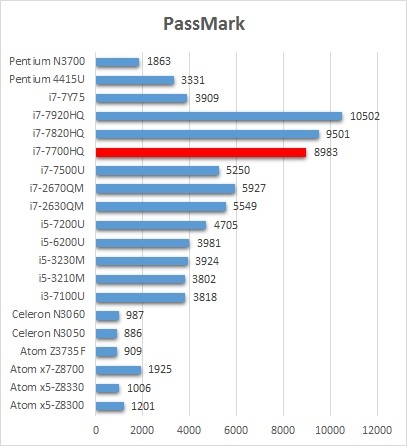 Core i7-7700HQ PassMark. The higher the score, the better the performance. 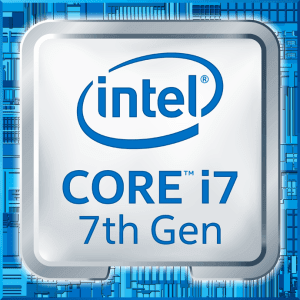 The Intel Core i7-7700HQ has a PassMArk CPU mark of 8983 which is more powerful compared to Intel Core i7-2630QM clocked at 2.0 GHz with a PassMark score of 5549, Intel Core i7-7500U with a score of 5250, Intel Core i7-2670QM clocked at 2.2 GHz with PassMark score of 5927; but less powerful than Intel Core i7-7920HQ clocked at 3.1 GHz with a score of 10502 and Intel Core i7-7820HQ with a score of 9501.